David M. Schubert serves as Chief Operating Partner for Accelerator Life Science Partners. He is responsible for overseeing Accelerator’s team of Operating Partners who provide strategic and operational support to its portfolio companies. Mr. Schubert currently serves as a senior operating executive of several Accelerator-originated companies, including Lodo Therapeutics, Magnolia Neurosciences, and Proniras Corporation. 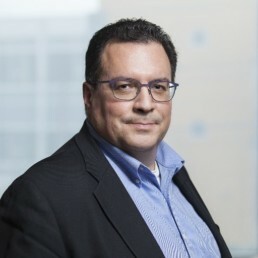 Prior to his role at Accelerator, Mr. Schubert served as Executive Director of the Houston Area Translational Research Consortium (HATRC) at Rice University, a biotechnology-based non-for-profit organization that focused on filling the gap between R&D investment and translation of discovery to the clinic in the form of marketable products to treat diseases. Prior to HATRC, Mr. Schubert served as President and Chief Business Officer of Accelerator. Prior to Accelerator, Mr. Schubert led the spin-out of CellExSys from Targeted Genetics Corporation (where he led Business Development and Investor Relations), and then successfully led the acquisition of CellExSys by Chromos Molecular Systems (Vancouver, BC). Mr. Schubert began his career at Baxter Healthcare Corporation where he served in various strategic planning, sales and marketing roles in Europe and in the United States. Mr. Schubert holds an MBA degree with concentrations in Marketing and Management from The Pennsylvania State University, an M.S. in Biology with a concentration in Immunology from Utah State University and a BS in Biology and a BA in Psychology from Eastern Nazarene College in Quincy, Massachusetts. Mr. Schubert currently serves as Chairman of the Board of Axonia Medical, and on the Board of Directors of The National Marrow Donor Program (NMDP).